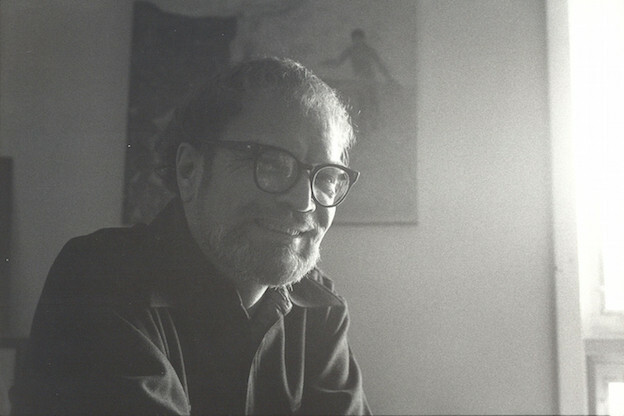 Kenneth Irby, January 1985 (photo by David Levi Strauss). Ken Irby’s poem beginning with the phrase “We might say poetry” is the first of the “Berkeley” sequence that makes up close to half of his book Catalpa, published in Lawrence, Kansas by John Moritz’s Tansy Press in 1977. It is not an entirely typical Irby poem — happily, there is no such thing. But it bears at least three of the features that we would not be wrong to associate with Ken’s work generally. First, it is a landscape poem — or, to put it in more current terms, it is a site-specific work; it bestows specificity on a particular locale, and in so doing it projects forth from its site a multilayered and emotionally complex geocultural vision. Second, it is notable for its intimacy of address; one feels one is sharing not only a moment but the affective memories, sensations, and feelings that characterize that moment. And third, it radiates love. I still think this assessment holds true of his work generally, and of the poem beginning “We might say poetry” specifically. And the aptness of the assessment — that Irby’s poetry “unfolds through the continuous remembering of persons and places loved and known — and known as loved” — is not belied by the way that “We might say poetry” complicates its site, the contours of remembering, and the unrepresentable but determinative topology of friendship. The poem also undertakes something akin to time travel (but what poem doesn’t, really?) and, perhaps more to the point — or merely as an item of secondary, contingent interest — anthropological travel (or spiritual ethnography). As I said, this poem is the first of the sequence titled “Berkeley” in Ken’s book Catalpa. And the first nine lines of the twenty-two-line poem seem to situate the speaker and his comrades — the we who “talked about the mind / ’s a sixth sense” instead of about “poetry / as accumulation of specific” — in Berkeley. The hillside and the scattering of trees are familiar features of coastal northern California, and the mist and Mount Tamalpais specifically belong to the environs of Berkeley. I’ve tried to figure out what time of day it is in the poem — or what time of day it was, since the first long stretch of the poem is cast in the narrative past tense (“we talked,” “Tamalpais’ top floated”), and when it shifts to the so-called present tense (“the greenery of grass / is fence”) what we get isn’t temporality but a state of things, a truth condition, discovered, or perhaps merely glimpsed, where conditions otherwise are fleeting. And of course they are fleeting — this is a pastoral poem, of sorts, and conditions of the pastoral landscape (the so-called “natural world” as a site for social being) are always fleeting, ephemeral — conditions of light, color, aroma, tactility, and talk. These are temporary; they are also temporal. They comprise what Larry Eigner, in his poem “B,” calls “the constant ephemerals,” the elements of time itself. History. The ghosts of events. And the marks of history’s hand on the landscape. This, as I will explain in a minute, is a site of something of lasting negativity in the poem. The poem inhabits some time-of-day. The poet and his (or her — I don’t want to make unwarranted assumptions — but still — this isn’t a so-called “persona poem” — we can ascribe it to some version of a character named Kenneth Irby) — the poet and his companion or companions are looking West toward Mount Tamalpais, surrounded by mist. This is mist, rather than the autumnal hot-weather haze of Indian summer in Berkeley, but that doesn’t necessarily place the poet and friend or friends in a winter landscape. As Ken puts it in another poem in Catalpa, “Indian Summer in Berkeley means / the fogs come back in October.” The poet and his friends, then, could be part of an actual summer or a faux summer scene — the San Francisco Bay Area being famous (or infamous) for its summer fog — particularly noticeable (and delightful) in the mornings, until the fog begins to burn off around midday. And, since near the very end of the poem there is mention of the “brightness of the day,” I’m guessing that the poem is “happening” at midday. And that the poet himself is in Berkeley. Mount Tamalpais does sit west of Berkeley; it is a notable, and peculiarly sacred, San Francisco Bay Area natural landmark, rising without particular drama but magisterially out of Marin County. The other notable, but for many negligible or even unknown, Bay Area “mountain” is Mount Diablo. Mount Tamalpais is patrician; Mount Diablo is working class. This is worth mentioning, since, though my social classification of Mount Tamalpais and Mount Diablo is not relevant to Irby’s poem, it is the case that, if one looks from Berkeley to Orinda, and if the weather is right and one’s elevation is sufficient, one will see Mount Diablo. Orinda lies midway on a direct line of sight from Berkeley to Mount Diablo. Due east. I really don’t know what to make of the reorientation that we find has taken place somewhere in the course of the poem such that our attention is directed “SW towards Orinda.” Orinda, as I said, lies almost directly due east of Berkeley. It might be, then, through her books that she “spoke in Lowell” — which, as we all know, was Kerouac’s hometown. Or it might be that the “Lowell” being named is not the working-class Massachusetts town but Ken Irby’s friend Lowell, who is present in many of the Berkeley poems: “I said to Lowell,” “Lowell went first down the path the last stretch,” “Lowell left a note,” etc. (260, 261, 308). This is, however, a realization that comes about not introspectively but socially. And the affective aftermath of that realization is not bound to the poet’s ego; the truth of the emotions belongs not to the poet but to the situated occasion, to the landscape of extensive event. It is here that we can discern the ethical dimension of Irby’s art. Ken Irby is in some ways an austere poet. That statement may simply be an oblique way of describing the dignity of the man in and of the poems. He holds his feelings dear but at a distance — but it is the distance neither of irony nor of alienation. Indeed, in a powerful and positive sense, Irby is a poet of non-alienation. His work homes in on its locales and on the sharing of them that makes them memorable, known in common. And his austerity — the distance of his feelings — gives us the measure of the capacious outreach of which proper sociality is capable. In continuing to think about the temporal conditions of the poem, I have come to realize that the time of day in the poem is both a point of entry and a point of departure. The open landscape, the conversing companions, the midday light — not to mention the inclusive opening pronoun (“We”) — all invite us into the occasion. But they do so not through Whitmanesque prolixity and exuberance; the occasion blossoms in the light of its condensation. The poem is only twenty-two lines long, and the conversation and concomitant regarding of the landscape last only as long as “the brightness of the day” allows. The time within the poem is the duration of a glow. And this is what produces a point of departure into the occasion’s afterglow, which is the time of the poem. The poem’s temporal expansion is already articulated spatially, in the strong (and even, given that we may get all the way to Lowell in it, magically excessive) horizontality of the poem’s spatial landscape. Unimpeded (the hills are embedded and integral, not tossed up and demanding), the mind sweeps west to Mount Tamalpais (which has, finally, a more maternal than magisterial aspect in the distance as seen from Berkeley) and then floats back and drifts calmly, slowly, even languidly (albeit at the speed of thought) eastward across the continent to Massachusetts. And yet, as I see it, the ultimate time of the poem is its future — or futurity as such, since the future I am referring to — the future of the poem — is now (though it will also be tomorrow). I don’t mean by this that the poem has become, or will become, or should become, canonical. It may, but that is not my concern here. What I mean is that the time in the poem — those particular brightly present sunlit hours in Berkeley, lived and experienced and condensed through what Kierkegaard would call “formative activity” into a poem beginning “We might say poetry” — becomes the time of the poem: the expansion of the past present occasion into its future — which remains the occasion and event, still lived, in which a poet and a comrade or comrades sitting or walking in the Berkeley hills talk about poetry and the mind. The book in which the poem was originally published begins with a short text titled “In Place of a Preface.” It consists of slightly more than two pages of what one might call raw material — material akin to that which makes up what we now have of Walter Benjamin’s Arcades Project — etymological information related to the words “land,” “scape,” “landscape,” “plant,” and “place,” and a set of thirteen quotations from an assortment of pertinent texts, including this from Charles Olson: “By landscape I mean what ‘narrative’; scene; event; climax; crisis; hero; development; posture; all that meant — all the substantive of what we call literary” (250). Word and place are not strictly separable in the world of Ken Irby; both are occupied by occasion, friendship, affinity, and also crisis and the muted heroism that humans require of each other. The first is from Edgar Anderson’s essay “The Considered Landscape”: “When we consider a landscape, what are we considering? Is it just what we see or is it something more — if so, what is that something more? What we see is a view, most certainly. When we talk about landscape, when we try to have a meeting of minds as to its various problems, there is more than the view itself. We are contemplating what is before us. The eye is seeing and the mind is perceiving. What we think, what we ask, what we investigate will depend upon how rich is the experience brought to bear on that contemplation. It is not only what we see, it is also what we see in it” (250). The second is from an essay by a University of Kansas historian, James C. Malin, who died in 1979, two years after Catalpa was published. The four quoted lines in the poem — forming a staggered quatrain — are from Malin’s book titled The Grassland of America: Prolegomena to its History: “the dovetailing / or interlacing of ridges / no line on a map / can represent.” What Ken quotes in his “In Place of a Preface Text” is from another work by Malin, an essay titled “On the Nature of Local History”: “Every historical event must happen not anywhere, but in some particular place, at some point in space, in some locality or minimal unit of space in which its unique causal factors operate” (251). The poem hints at the unrepresentability of poetry. Its opening gambit — its foray into offering an at least tentative description or definition of poetry, or of the saying of poetry — is truncated (and only obliquely returned to near the end of the poem, where our attention is directed to “the greenery of grass,” which is no sooner named than it becomes itself an instrument of truncation: it “is fence”). 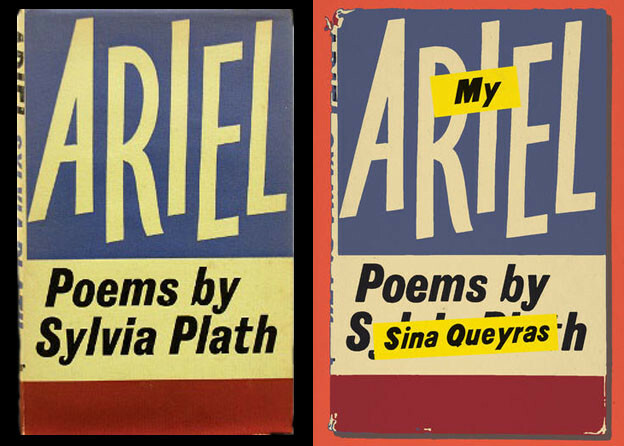 “We might say poetry / as accumulation of specific,” but we don’t — at least not directly. The poet and his comrades talk instead “about the mind,” as a force that can be independent of the five perceiving senses, “a sixth sense.” Or perhaps it is more accurate to say that the poem turns into mind, not as an engine of reason but as a seat of affective intensity and corporeal liberty. Some kind of epistemology is at stake here, but the knowledge it bears is not principally rational. The knowledge belongs, rather, to the world of emotion. And it exists as the halo of event and occasion. Irby’s poem — and his poetry more generally — is emotional even as it emanates austerity; it is certainly not sentimental. In the poem, I would argue, affect (or “we might say poetry”) — that which offers us, non-predatorily, a landscape that can be “ours clear up to the hillside” — is an emanation not of aesthetic feeling but of social emotion. This poem was born not in solitude but in company, and the poetics it realizes are a social poetics — a realization of lyric sociality, which far outdistances the lyric subjectivity that tends so tediously to inform conventional nature writing. It is the camaraderie and the occasion that make the place Irby and his friend or friends venture into a landscape. Beyond that, they don’t touch a thing, though their conversation touches on many things. And this brings me to the “the greenery of grass” that intrudes suddenly upon the musings the poem remembers. Those shared musings of the conversing friends can be said to be, like “the scatterings of trees / on hills like our own hill,” “unpredictable,” “dovetailing / or interlacing” in ways that “no line on a map [nor line of poetry] / can represent.” But the “greenery of grass” is a line. With the burning off of the morning mist, what becomes visible is not entirely landscape proper but also the landscaped. It is greenery rather than greenness of grass that is seen — lawn, hedging. It is as if, for an instant, the poet relives the historical change brought about by the imposition of land enclosure, when vast areas of forest and meadow that had for “time immemorial” been the shared landscape of everyday life were privatized, bringing about the end of the commons. In the poem, the shock is muted — the privatization of land has become second nature. But nonetheless, the shock is registered, “cutting even the heart away.” This is one of the two central epistemological moments of the poem — and, though it comes at the end of the poem, it is, in fact, the first. It registers realization of loss and of the historical forces that caused it — call them early capitalism or human greed — and that have shrunk the horizons of possibility for the very kinds of comradeship that the poem takes as its original and creative terrain. In response, and retroactively, so to speak, the poem makes its assertion of camaraderie — insistence on the abiding truth of social subjectivity — and this establishes the second epistemological moment of the poem, as well as its ethical power. This poem of Ken Irby’s has undeniable outward momentum. It is an account of thinking and talking into the distance, an ungrandiose — one might even say anti-grandiose — account of thought’s spatial and temporal sweep. But, after its last line, “We might say poetry” reaches back to what was in front of it, concerned certainly, rather than complacent, wanting to make sure that the humanity will last, and can find an answer to difficulties its own history throws at us. 3. Alexandra David-Neel, Magic and Mystery in Tibet (New York: Claude Kendall, 1932), 59. 4. The Tibetan Book of the Great Liberation, ed. and trans. W. Y. Evans-Wentz (Oxford: Oxford University Press, 1954), 12. 5. I would wager that they are sitting on a hillside above what is now the Clark Kerr residential campus of UC Berkeley but was then the School for the Deaf, Dumb, and Blind. 6. “The Grasslands of North American” is also the title of the first poem in Catalpa; dedicated to the poet Bob Grenier, the second part of this two-part poem says “There must be in the juice / and flesh a same plain / as these, the same moving / wave as this grass // the body comes back to / only having heard as they say / only heard, by hearsay / and believed it” (253). 7. Charles Altieri, The Particulars of Rapture: An Aesthetics of the Affects (Ithaca and London: Cornell University Press, 2003), 2. 8. My reading of the last lines of the poem is much indebted to conversation about their difficulty with Mica Lee Williams, Alex Taitague, and Jason Meierhenry, all at UC Berkeley.